Pringles are a popular form of “potato” chip that became famous for their unique, conveniently stack-able shape. The fact that they came in a can immediately set them apart from other snacks, marketing-wise at least, and combined with their soft texture and salty taste they quickly became a staple in American junk food. Although most people consider Pringles to be “potato” chips, a court case has revealed that Pringles contain a lot less potato than one might expect. The previous manufacturers of Pringles, Procter & Gamble, went to court several years ago to challenge a Value Added Tax (VAT) decision which would subject Pringles to the standard 17.5% rate of VAT. This demand for a VAT on Pringles was due to the fact that it was supposedly a “potato crisp project”, which, unlike most food products, are subject to a VAT. Justice Nicholas Warren, the judge presiding over the case, concurred that Pringles were not a potato product. 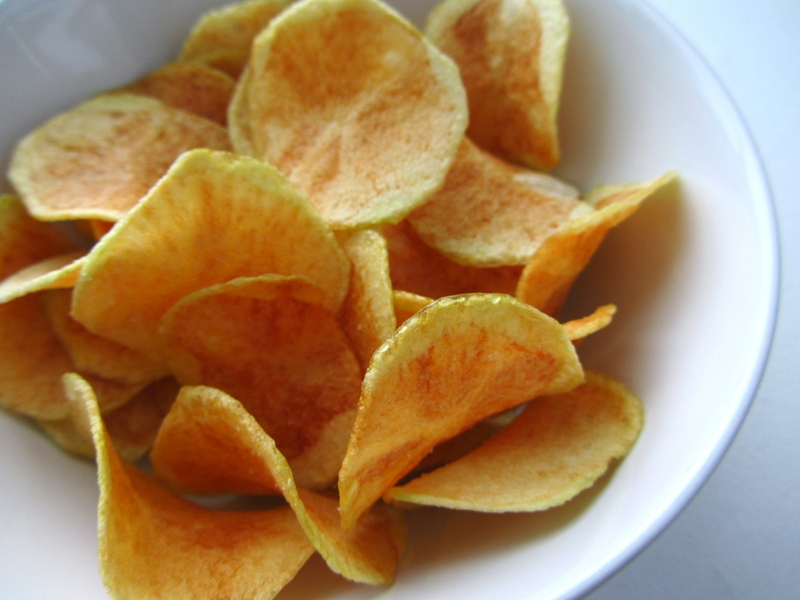 He claimed that Pringles did not meet the criteria to be considered potato crisps, being made with potato flour, corn flour, wheat starch and rice flour together with emulsifiers and seasoning, leaving them with a potato content of 42%. This decision not only confirmed that Pringles “potato” chips are not really a potato product, but it also saved Procter & Gamble millions of dollars in taxes. This really proves that large corporations such as Procter & Gamble care more about saving money than even pretending to produce food products, let alone actually produce them. There you have it! Healthy, baked potato chips that take less than an hour to make! And the best thing about them? You actually know that they’re made from potatoes! For more delicious healthy alternatives to unhealthy foods, click here.